Captain Norman Haddaway is a son of a, son of a, son of a waterman a unique breed of individuals who work the Bay for a living. Capt. 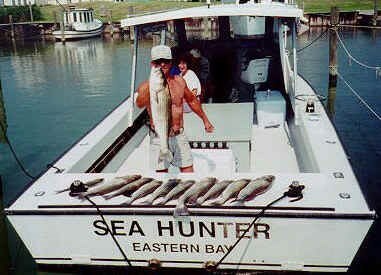 Norman is a USCG–licensed captain and skippers a fully-equipped 32-footer …the "Sea Hunter" was custom-made for sea-ducking and sportfishing parties…it's a world –class "Cast and Blast" battleship!